For years, the word ‘weight loss’ is synonymous with the feminine nature. From the grandmother, mother, the big sister and you, many weight loss tips have become a trademark for women worldwide. But the case of weight loss is so innocent. There are some easy to follow weight loss tips for women that can help you lose weight in a fast, persistent and healthy way. If you have tried everything and have not accomplished the desired result? First calm down! Nothing is more powerful than your desire and nothing can stand as an obstacle to your weight loss efforts. 1. You follow a weight loss diet without the supervision and advice of a responsible doctor or nutritionist. Do not enter any weight loss diet without first taking the advice of a specialist. Every body is unique and has its own peculiarities and characteristics. 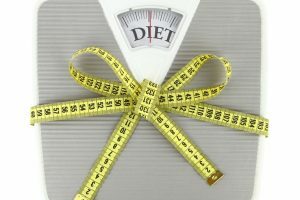 This means that the diet that helped your best friend to lose weight fast may not have the same effect on you. 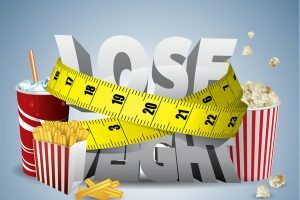 When you choose a weight loss program, consider your weight, the state of your health, age and the type of work you do. Also have in mind that the exercises you will follow and the diet that will help you lose weight is unique to you. Forcing the body into starvation and the consumption of only one type of food (e.g. juice only) can be very dangerous for your health, since the lack of certain trace elements and vitamins leaves your body uncovered in a multitude of diseases. The same can be dangerous for example if you are a complete vegetarian. If you choose to become a vegetarian make sure that your body receives the necessary iron. Remember that the forced famine, may irreparably damage your health and to bring you near to nervous anorexia. 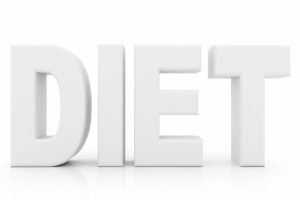 If you think you will lose weight through a diet only, this is a big mistake. You may lose some weight and you will get it back as soon as you stop the diet. Achieving a healthy body can be done by changing the sedentary lifestyle and also with a combination of healthy diet and exercise. Sports, find a hobby and generally not thinking only how to consume fewer calories, but how to burn more calories. Avoid stress. There are many women that when they are in a crisis of stress they are starting to eat what they find in front of them. Before starting any diet, analyse the reasons that make you follow a weight loss solution, set a goal and combined the diet with forms of exercise that will help you fight the stress: for example: yoga, pilates. Do not try to lose more weight as you can in the least time. They only thing that you can accomplish is to substantially dry the skin after you lose all that liquids from your body. 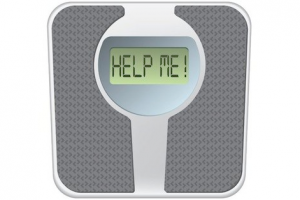 The loss of more than 3 pounds a month is considered dangerous for your health. 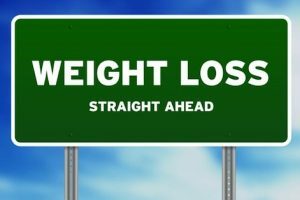 Do not combine several different weight loss diets at the same time because one method may come in contrast to another. Then, if you follow a diet and stop to start another, it is very difficult to see results or to prevent them to occur. It is very important to follow a diet and sports program that meets your own individual needs and of course after the guidance of a specialist. One of the major reasons that men are thinner than women is because they are NOT going to the supermarket and because they do not cook. The «forced engagement» of women in these processes entails more calorie consumption during food preparation. In a conducted research, it was discovered that the calories that women recruit during cooking, touch the 300! Of course, we do not suggest that the solution is not to cook? Of course not! But certainly you can stop to eat carelessly, waiting for …the main meal. An easy way to avoid this is for as long as you are in the kitchen to chew a gum. This will prevent you from filling your mouth with other small delicacies. If you think about it in most case you have a need for dessert, and usually the desert is ‘guilty’ for the many calories. To limit this habit and protect yourself, eat at every meal more protein. Because the clothes are now more resilient and waistbands tend to disappear it is more difficult to realize when your waist is growing. You only realise it when the stretch fabric starts to ‘protest.’ What you must do therefore is to have denim or some other non-elastic cloth as a measure. Once a month wear it and see the results. Any product that is labelled as ‘light’ or ‘diet’ does not mean that it is ideal for consumption and much more does not mean that it can help you lose weight. So you need to be careful and read the food labels carefully and note the percentage of fat and calories it contains. It is proven that women prefer much more fatty foods than fruits, vegetables and fiber. For this reason then try to avoid any extra burden to the state: rich sauces, and fried food. Ask your partner, friend, family or your trainer to help you and advice you about your weight loss efforts. Sometimes the impression that we have for ourselves is not consistent with reality. Ask someone you trust to tell you where you need to improve and seek proper help. This article presented 12 weight loss tips for women. For sure weight loss is not easy especially for women. Good results can be achieved though with persistent effort, patience, a good weight loss diet and physical exercise. I am 39, and i weigh over 80kgs. I gained more weight after my second delivery 10 yeara back,although both were normal, but I did not get proper bleeding after both my deliveries, it lasted for 17 and 12 days respectively. After that I have been having a big belly and after several attempts, I lose weight and then inspite of continuing my efforts I still gain back the lost weight once my body gets used to that particular attempt. I would appreciate if u could help me in this my problem. im 27 years old. im 85 kgs now. i have no kids. im trying for pregnancy and taking treatment. doctor adviced me to reduce my weight. 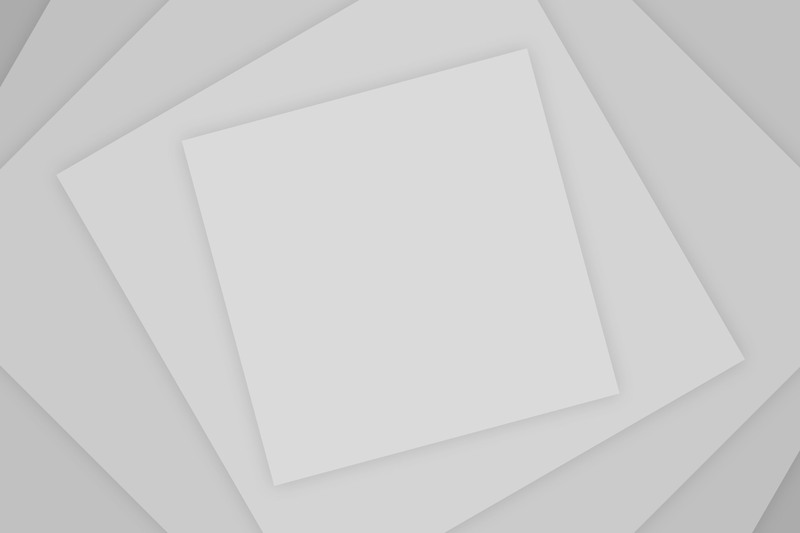 how to reduce without any effect on my pregnancy plan? i am 26 yrs, i have one child , she is 1 year ,just 3 months before i stop feeding, but my weight is not reduced till now ,my weight is 60 Kgs and my Height is 5.2 cm. mostly probably my stomach part not get reduced after delivery. pls suggest me. what can i do? I’m a lady of 20yrs. I had a fracture on one of my legs & i gained so much weight due to this.now i’m a bit okay but one of my legs isnt strong enough 4 jogging or any other serious exercise.pls can u advise me on the kind of exercise i can start doing 2 loose the excess weight? I am 22 i am trying to eat healthy i just bought a treadmill coulf you please tell mr what the best food drink and exercise is for me? I am 42 years, weight 75. please let me know the best food to reduce my weight. I’m 17 years old, 5’3″ and 188 pounds. I’ve been “dieting on my own” for a while now. I’ve lost 17 pounds so far. I’m just confused. I have so many questions about what I should or shouldn’t be doing, how much my calorie intake should be and what parts of my body should be showing the weight loss. People say they can tell a difference, but I can’t. The only thing I’ve noticed is that my jeans don’t fit as well as they used to. That’s after 17 pounds. When will I start seeing “REAL” results? Eating a good fibre rich breakfast helps too because you’ll be less hungry throughout the day, etc. I am 25yrs. I have twins child, they are 1year now, i stop feeding but my weight is not reduced till now, my weight is 75 kgs and my height is 5 cm mostly probably my stomach part not get reduced after delivery plz suggest me what can i do? iam 24 yrs and my weight is 65 kgs n i want to reduce because iam facing dificulty while walking n mine is continuous siiting job plz suggest me a diet plan n excercises to reduce my weight. Tips that worked perfectly for me. Went from 14 to 6 in 4 1/2 mos. 1. Water. 2 liters per day. 2. Exercise, of the cardio variety; i prefer running. 45 mins (minimum) per day. necessary cool down of 10 mins no matter what. 3. Fiber and Vitamins: meaning as many veggies and almost as much fruit as you can stand. 4. Lean meat twice a day, or once and tofu. 5. Strength training; if you want definition, you can’t get there w/o the burn of side crunches and push ups. 6. Sleep. at least 8 hours. 7. Alcohol when you’re out having fun.. this is not torture. Vodka Soda (lowest cal combo possible!) done and done. 8. A friend to talk to when you feel suuuuper lazy, but you know they went to the gym earlier..
9. Patience. Good things come with time and work. Sorry, but you knew cayenne pepper and lemon juice wasn’t the answer. 10. Confidence. You are making healthy changes and your body will respond, I promise. When you are there not just to be a size 2, but to feel good about yourself, it is soooo worth it. i m 17 years old and my weight is 54 and height is only 5 feet.my stomach part are nt reduced.some body help me . I am 18years old and overweight i weigh 90kg i have tried every thing i can to loss weight but not working there was a time i lost 5kg but i gained it back some of my family members have told me to stop that i will never be able to lose weight but i really want to being fat disturbs my self confidence. Please advice me. I am now 71kg want to reduce my weight.Hopeful These tips will help me to loss my weight. The biggest reason that women have a problem losing weight is that they focus too much on cardio exercises and not enough on strength training exercises. And when I say this, many people will scratch their heads…but hear me out. In order to make your weight loss permanent, you must burn more calories BETWEEN your workouts. And the only way to do this is by raining your metabolism, and that means adding muscle to your frame. Now, I am not talking about lifting major weights. I am talking about 20-30 a day, 3 days a week, or resistance band and body weight exercises that can be done from home. Push ups, squats and resistance band exercises in your living room will be enough to activate your metabolism and allow you to permanently lose the weight you desire.